Pokemon Go was a huge sensation that allowed fans to capture Pokemon with their mobile phones in the real world. Now Ghostbusters fans can join in on the fun with Ghostbusters World. The map-based AR mobile game is now available on Apple Store and Google Play for free, and you’ll be able to team up with friends to capture ghosts, fight others in PvP mode, defeat giant bosses, and more. Of course, there are perks you can purchase if you want more choices. 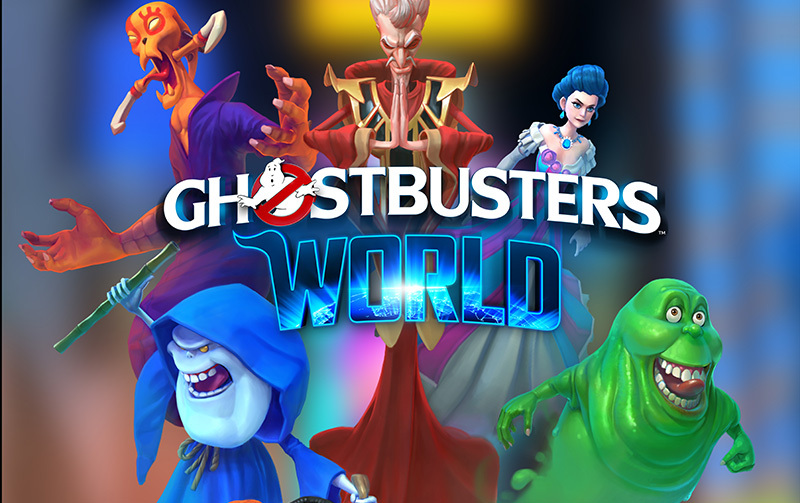 Ghostbusters World features hundreds of ghosts from the films, TV shows, comic books, theme parks and video games, and new ghosts are introduced for the game. It uses Google Maps API to allow players to walk around in the real world to fight ghosts in turn-based battles. When battling a ghost, you’ll be equipped with the proton pack. Once they are defeated, you can capture them using the ghost trap. To take down a boss, you can team up with three other friends in an area. The ghosts you capture can be used for asynchronous PvP battles. If you want story, there is a story mode from the IDW writing and art team. In addition, you’ll be able to customize your character and weapons.